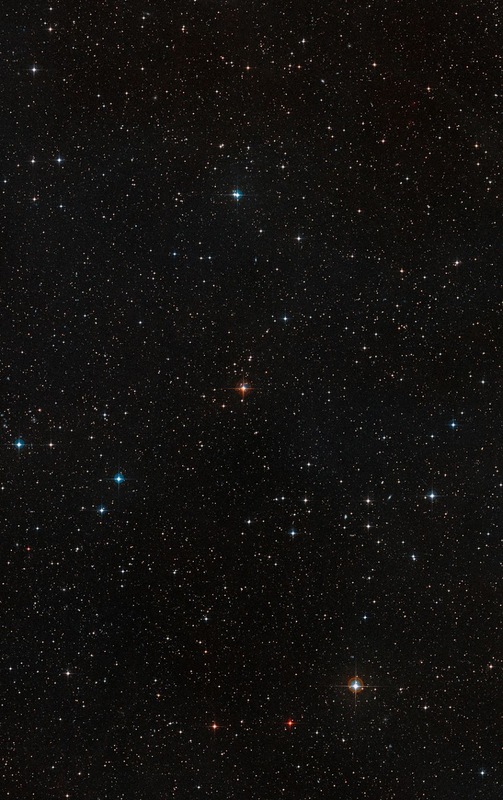 This image shows the sky around the nearby young star AU Microscopii. It was created from images forming part of the Digitized Sky Survey 2. 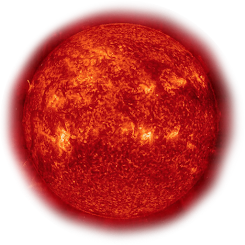 AU Mic appears just below the centre of the image as an orangish star of moderate brightness. Because the photographs through different coloured filters that were used to make this picture were taken many years apart, AU Mic appears double, as the star’s own proper motion has moved it a small distance across the sky in the intervening time.